Businesses that boycott media. Standing up against racism and sexism . 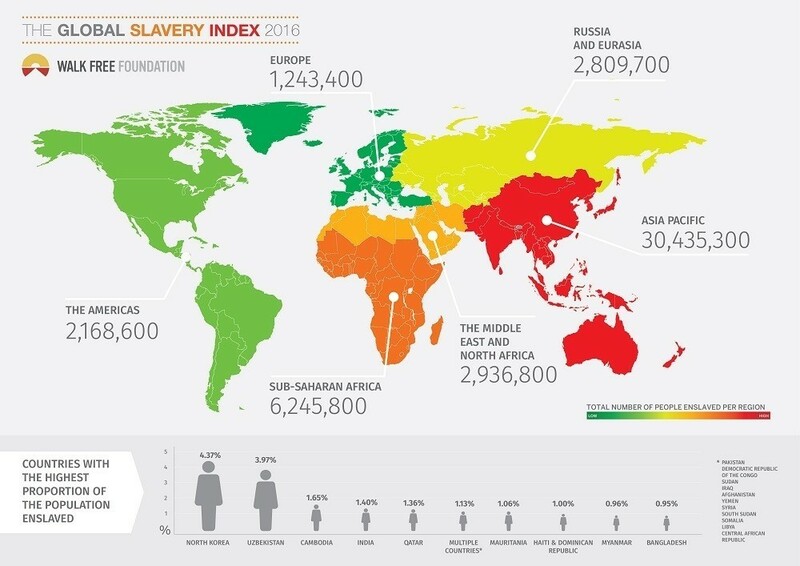 46 million slaves in the world today. The numbers behind the horror. Worth $1.2 trillion and just elected a president. Religion’s power in the US. A cure for Alzheimer’s and addiction? Digital technologies and brain health . Portuguese is more powerful than Hindi. An index of languages’ influence . When driverless cars crash, who’s responsible? Preparing for the risks of new technologies . Your light bulb will be a computer. A technology dean offers predictions. How democracies fall. New populist governments may lead to autocracy . Why companies avoid the stock market. How impatient capital arose and how to tame it. Fake news from the Middle Ages. Manipulating information has a history. Lost knowledge and intelligent machines. Search engines’ radical reinvention . Don’t blame the barbarians. Climate change and the Roman Empire’s end .